Member of Parliament (MP) for Bolgatanga Central has challenge the Economic and Organized Crime Office (EOCO) to prosecute the finance minister Ken Ofori Atta,Dr. E. Y. Addison, Governor of Bank of Ghana and Rev. Ogbamey Tetteh, Director General of the Securities and Exchange Commission (SEC). Hon. Isaac Adongo believe the action and inaction of the trio have contribute in creating myriad of problems in the country's financial sector. "Obviously, the panic withdrawals that have hit Ghana’s banking and general financial sector is a planned regulatory strategy to achieve this end. This can be found in the following stance of the regulators and the Minister of Finance," Hon. Adongo said in the statement. I wish to call on the Economic and Organized Crime Office (EOCO) to investigate and prosecute Hon Ken Ofori Atta, Minister of Finance, Dr. E. Y. Addison, Governor of Bank of Ghana and Rev. Ogbamey Tetteh, Director General of the Securities and Exchange Commission (SEC) for their various and joint roles in inciting panic withdrawals from Financial Institutions, conflict of interest, insider and underhand dealings that resulted in the collapse of Banks to satisfy their selfish interest. Ghana’s financial sector has continued to come under predatory regulatory and fiscal attack to bring a section of the financial sector on it's knees for the predator to prey on on. An obvious plan that appears to promote the dominance and growth of Databank and its related parties. Since the emergence of Databank and Enterprise group staff on the regulatory landscape of Ghana’s financial sector, it has become almost certain that with the conduct of the Regulatory Agencies, Bank of Ghana (BoG), Securities and Exchange Commission (SEC) with the tacit collaboration of the Minister of Finance, there's a plan to collapse the financial sector. Not surprisingly, at the time of great loss of confidence in the financial sector with players across the entire financial sector struggling to cope with the systemic melt down, Databank appears to be the only Investment or Fund Management company among its peers to be soaring and expanding its branch network to take advantage and pick up the spoils of war jointly prosecuted by BoG and SEC to decimate its competitors. 3. Ken Ofori Atta's refusal to pay debts owed Banks by contractors. 4. Ken Ofori Atta's use of the media to incite the public against the local Bank's directors to divert attention from his real intentions. a) Fund managers and local banks whose costs of capital were higher than the lower interest rates they were forced to accept, made significant losses and subsidised the takeover. c) Fund Managers and local banks who were struggling to meet these demands from clients began to see panic withdrawals and further worsening of their liquidity. d) While all these Financial Institutions were being slapped with punitive measures on their investments, Databank had already taken its monies with UT Bank. Clearly, there is insider dealing using the footprints of Databank on the regulatory environment. Clearly, Dr Addison and his men had achieved their objective of inciting panic withdrawals in our local banks and financial institutions. - Whilst the Banks were mapping up strategies to pick up the pieces and to rebuild confidence in the Banking and Financial Sector, Dr Addison had aimed another attack on the sector by announcing that he was going to publish the list of Banks he "magically" knew will not meet the minimum capital in July 2018 ( six clear months ahead of the deadline). This singular misguided but self-serving conduct of Dr Addison created yet another spiral of panic withdrawals in the banking and financial sector. Depositors who were not sure if their deposits in local banks were going to be safe, began to move their monies to foreign banks. - Dr Addison after inciting these panic withdrawals went ahead to look for banks whose solvency had been affected by his own conduct and moved in to consolidate five of them under some bizarre circumstances, including the use of Databank staff to take these banks. a) Similar to UT/Capital Banks take over, term deposits of customers have been forcefully downgraded. b) An initial scam from CBG was that, "CBG is the second biggest bank in Ghana by branch network" a scam that lasted only a few days as over 98 branches were closed and several employees made redundant. c) CBG played on customers using spurious excuses such as "reconciliation of accounts" when indeed even current account holders could not access their funds. d) CBG has been illegally suppressing customers’ cheques in an unprecedented compromise of the entire banking system. e) CBG now pays cheques by instalments against all known banking Practices. It is interesting to note that as usual Databank had redeemed its investments before Biege Bank was consolidated. Databank through this insider dealings doesn’t get affected by the downgrade of deposits and forced liquidity crunch. The activities of this consolidated bank after claims that they have been issued bonds and stated capital of about GHC6.1 billion has destroyed any lingering confidence of the public in the Central Bank to protect their investments. The end result is the unrelenting panic withdrawals in our local banks and financial institutions. Unfortunately, the Governor has assured us that the destruction is now poised to hit savings and loans and micro finance institutions. Dr Addison must be immediately investigated and prosecuted for inciting this unprecedented panic withdrawals and collapse of financial institutions before he destroys what is left of our financial sector. In April and May 2018 when Databank went on a rampant redemption of its investments with local banks and fund management companies, little did we know that it was acting on insider information of an impending SEC directive that would incite panic withdrawals and wipe out strong local banks and financial institutions. 1. Beige Bank lost Ghc1.5 billion within one month of implementation of the directive. The following month, Beige was "taken over" by BoG through a senior staff of Databank, Babatunde Ampah. 2. GN Bank lost GHC1.5 billion in 2 months of the directive. 3. Fund management companies have been wiped off with investors still chasing their cheques. It is estimated that over 30,000 direct jobs have been lost in the fund management space. The hitherto GHC30.6 billion industry is fast disappearing whilst Databank is now magically expanding to all the Regional capitals to be the dominant and fastest growing Investment Bank to benefit from its dying peers. 4. Most local banks have suddenly become insolvent and unattractive in their quest to raise the minimum capital with less than two months to the deadline. 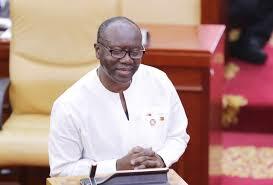 The emergence of Hon Ken Ofori Atta as the Minister of Finance began the annihilation of Ghana's indigenous banking and financial sector. The use of carefully crafted fiscal implementation approaches that suffocates local banks through impairment of capital has been the masterstroke of the Minister of Finance. Ironically, when the banks collapse the Minister of Finance is quick to find the money to resolve these banks. 1. The Minister of Finance refused to pay Government debts to clients of Unibank totalling about GHC1 billion that would have saved the bank. 3. The Minister of Finance is refusing to pay Government debts to clients of GN Bank totalling GHC1.3 billion that would make the bank stronger and profitable. 4. The Minister of Finance will save our local banks and help improve their capital adequacy to help towards meeting their minimum capital obligation if he pays debts owed to clients of local banks totalling GHC5.7 billion. It is difficult to understand the sense in the Minister of Finance refusing to save our banks by paying the GHC5.7 billion owed them and their clients but find GHC13 billion to spend on collapsed banks. I urge the President, the Office of Special Prosecutor and the Attorney General to marshal state investigative machinery and resources to investigate and prosecute Hon Ken Ofori Atta, Dr Addison and Rev Ogbamey Tetteh for inciting panic withdrawals of deposits in our banks and financial institutions as well as conflict of interest activities by the finance minister.